There are so many great companies interviewing marketers and fighting for the same job candidates -- especially the most qualified ones, which also tend to be the ones that you want to work for your company. This competition has led to a situation in which many companies will do whatever it takes to reel in the right people and bring them on board. So how does a company stand out with so much competition? There are a few things we’ve found to work for us that help to grab the attention of job seekers. Before accepting a job at IMPACT, the most common question we get from applicants is, “Can we review your company benefits?”. 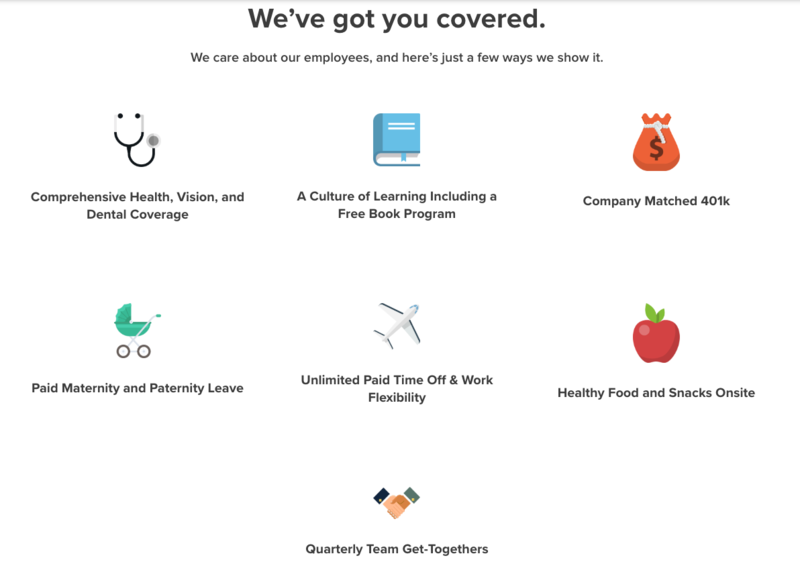 For companies that want to stay competitive and attract top candidates, it’s becoming more and more important to have the kinds of benefits and perks that employees are looking for in today’s market. At IMPACT, we make sure that our benefits are clearly outlined on our website, job postings, and in our public profiles. No matter what your company offers, make sure your job applicants can clearly find information about it when applying. It’s no secret that just about everyone today is on social media, including your target applicants. This means that if your company isn’t active on social media, you’re missing out on countless opportunities to catch the eyes of job applicants. It’s important to understand which social platform your candidates are on, and then make sure your company has an active presence there as well. Are they on Facebook? Twitter? Instagram? One quick way to find this out is to ask your top employees which platforms they use regularly. Chances are, other people like them are on those platforms as well. 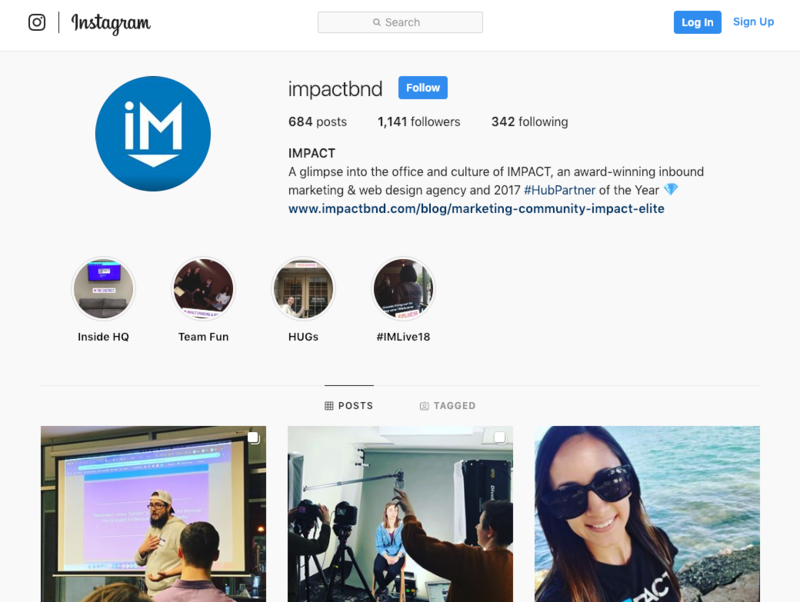 At IMPACT we make sure our Instagram is always up to date with our latest adventures. Even if you aren’t always posting about job openings, just keeping your company top of mind is important when trying to reach both active and passive job seekers. You never know if your post might catch them at the right time. If you want to take your social media game to the next level, build a community that attracts the types of people you want in your company circle. 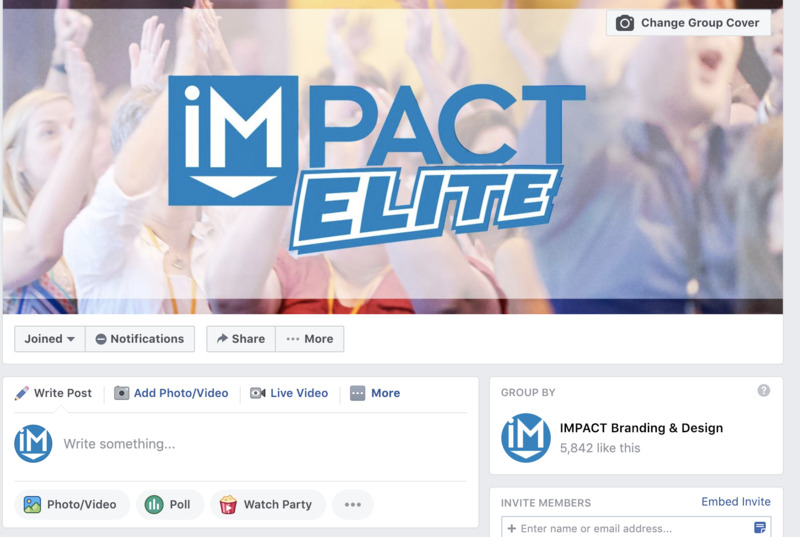 At IMPACT, we have a group on Facebook called “IMPACT Elite” where we’ve built a community of people interested in inbound marketing and growing their businesses. It’s a great place to find and reach potential job seekers since we already know they know IMPACT and they’re interested in the marketing industry. We even ask on our job applications if people are members of IMPACT Elite so we have some extra insight as to whether or not they’re involved in our community (it's also a great indicator of whether the candidate has done their homework on us). The best way for potential employees to be sold on your employee experience is to hear it from the employees themselves! 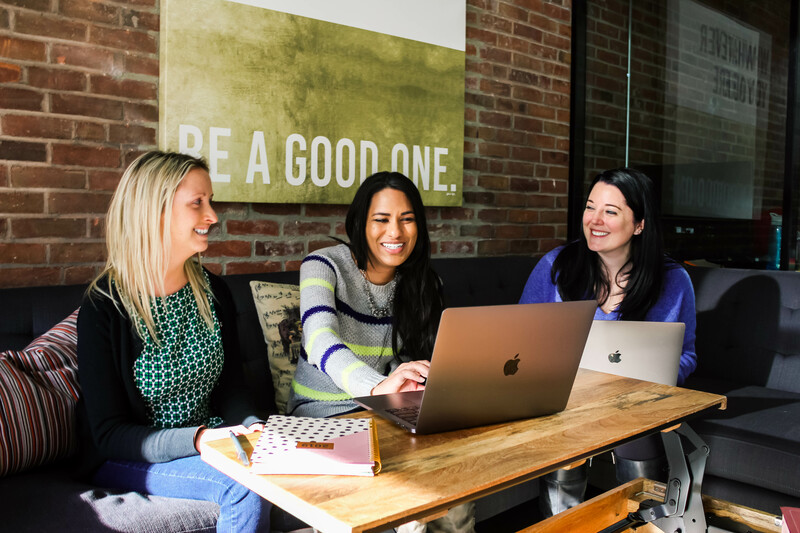 A few years ago, we realized how important it was to have positive employee feedback on sites such as Glassdoor, and did a full push to bring our rating up by simply asking employees to write reviews. We even worked it into our employee check-ins to ask them to write a review after being at the company for more than 6 months so we constantly have more feedback on the site. Try doing a push with your team by asking them to leave a review. 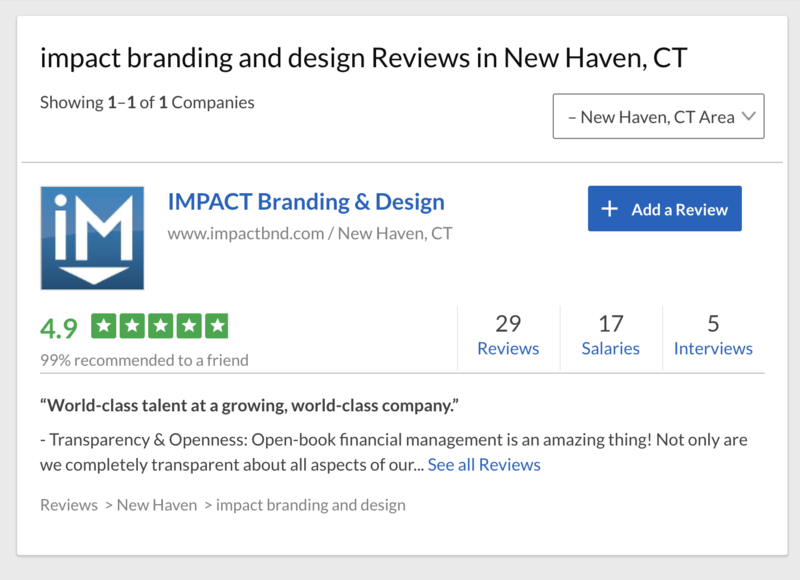 Even a brief one can help your ratings on sites such as Glassdoor. If your company has won any culture-based or employee-based awards, make sure to show them off on your careers page. Because most of those awards are given based on answers that employees who currently work at your company provide in response to third party surveys, they’re a great way to show how your team really feel about working at your company. If you don’t have any awards to show on your careers page, that’s okay. Ask your teammates if they’ll write up a one to two sentence testimonial about why they like working at your company and post those on your careers page instead. You can even include a way for applicants to reach out to those team members with additional questions so it puts a “real person” behind the quote. Events are a great way to expand brand awareness, connect with potential applicants, and show your passion for the field. Candidates want to join teams that are staying on top of their industry, and hosting events is a great way to show off your expertise and bring people with similar interests together. These don’t necessarily have to be large, in-person events. They can also be online, or even smaller, informal gatherings. 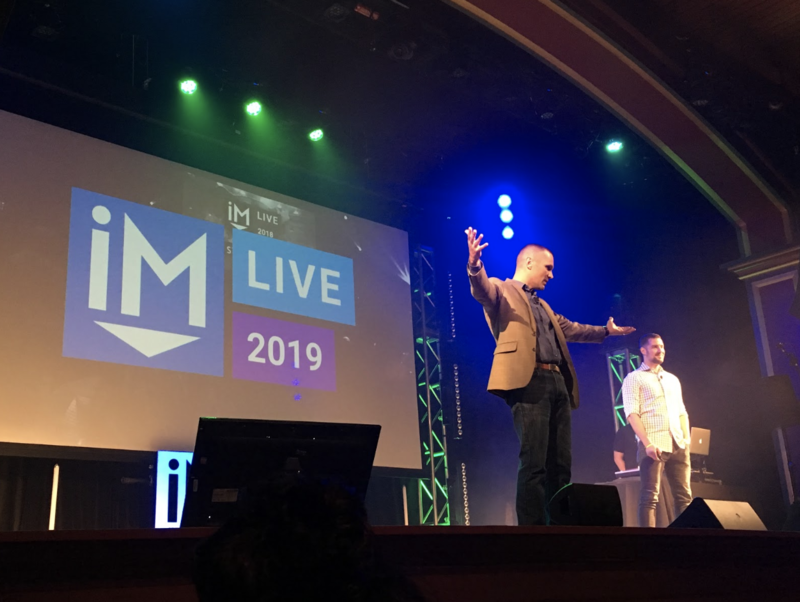 At IMPACT, we host one large annual event called IMPACT Live which attracts over 1,000 marketing professionals, and then smaller, more frequent events called Hubspot User Groups (or HUGs for short) attended by 25+ people interested in growing their careers or businesses. While IMPACT Live takes place in Hartford, CT (close to our headquarters in New Haven), the HUGs are scattered across regional locations throughout the country. This exposes us to candidates in all different areas, which is ideal since we are interested in both growing our local team and increasing our remote workforce. Both types of events work toward building our larger community of people in the industry. Once a candidate has gone to your event, they’ll have met members of your team in person, will know a lot more about your company, and will have experienced first-hand what you’re all about. Now, when they’re looking for a job, you might just be top of mind. Join us at IMPACT Live ‘19 for an unforgettable experience! A little while back I wrote an article about creating a great careers page. In it, I listed some of the main points below. While you can skim these, I encourage you to read the full article to get more in-depth information. Speak to Them Like They’re Already a Part of the Team: Watch how you word things. It makes a difference when the candidate is reading your page. Give Them Something to Be Passionate About: Make sure they understand your company’s mission and purpose. Tell Them What Your Team Values: Dive into your core values and what they're all about. Explain the Whole Package: Benefits! Benefits! Benefits! You’ll want these to be very clear to the candidates. Be Real: Show off real photos and videos of your team. No matter where you’re starting with your careers page, a few quick tweaks can make it even stronger and more appealing to candidates. Don’t wait around and let your competitors take all the great talent! Start making small changes today for big results down the line.